Do Your Gums Have Pockets? Healthy gums sit snug against your teeth, helping to keep out foreign objects and bacteria. There is minimal separation between teeth and gums. However, when you are plagued by gum disease, the distance between the two gets wider, creating pockets. These pockets allow for bacteria to fall under the gums and can even lead to tooth loss. How Do You Get Gum Pockets? When you get gum disease, even the earliest stages, plaque builds up on your teeth. Plaque is sticky, and it traps bacteria. As the plaque hardens into tartar (a substance that cannot be removed with normal brushing), and bacteria builds up, your inflammatory response kicks in and causes your gums to swell. The more your gums swell, the more they pull away from your teeth, creating pockets. Bacteria fall into these pockets and cause more inflammation, which only makes the pockets become deeper. Your dentist will be able to diagnose your gum disease. Part of this assessment is measuring the depth of your pockets. In order to do this, a probe is used. The depth of your pockets can help to determine the extent of your gum disease and will also help to determine the best treatment plan. 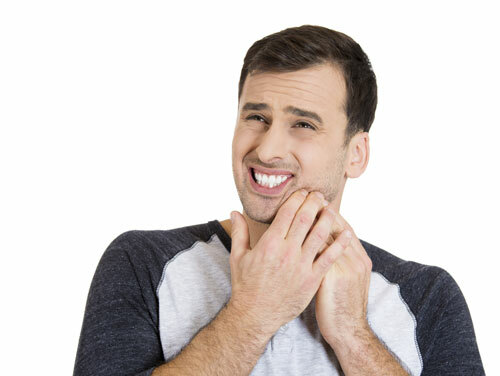 In order to fix the pockets in your gums, you must have your gum disease treated. The first step in doing this is having your teeth undergo a deep cleaning. Your dentist will remove tartar and plaque buildup from your teeth, both above and below the gum line. During this process, scaling and root planing, bacteria and toxins are removed as well. This allows your gums to heal and reattach to your teeth. In some instances, the pockets are too deep, scaling and root planing may not be enough. If this is the case, further treatment, including surgery, may be required. Pockets are the result of gum disease. While dental treatment can help to reverse these pockets, you can take steps to prevent them in the first place. Regular brushing and flossing are key, as is visiting your dentist at least twice a year.